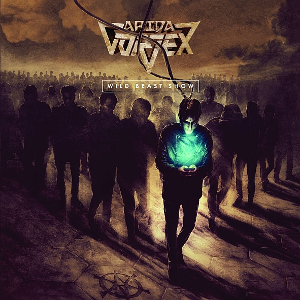 ARIDA VORTEX is a Moscow-based Power Metal band founded in 1998 and was called just VORTEX until 2002. They are offering Power-Heavy-Speed metal with both English and Russian texts and, in musically are in the vein of Sonata Arctica, Sunrise, Thunderstone, Dreamtale, Axxis, Conquest and Primal Fear. The 2003 album “Evil Sorcery” was their debut album and released 6 albums so far. This year, the 2016 album “Wild Beast Show” was re-released as a Limited Numbered Edition CD, adding a re-recorded song “Hail To Rock” as a bonus track. It's limited to 300 CDs only, comes with a 16-page booklet. ARIDA VORTEX will have a show in Huston, Texas (USA) on September 1st and another show in Bordeaux, France on September 23rd.